Rosewood Centers for Eating Disorders partners with medical, psychiatric and other professionals to provide comprehensive ED treatment. For more than a decade, clinicians throughout the world have trusted Rosewood to provide expert treatment and care for their ED patients. With a seamless of continuum of care, we treat adult and adolescent patients with anorexia nervosa, bulimia nervosa, binge eating disorder and other eating disorders, as well as the underlying co-occurring disorders and co-morbidities often associated with them. Our treatment programs are fully accredited, and we’re among a select few ED providers that offer a complete range of care for all stages of recovery—from critically ill patients requiring inpatient treatment to those ready for transitional living and outpatient services. 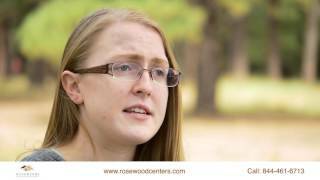 If you have a patient struggling with an eating disorder, consider making a referral to Rosewood. One of the most important factors contributing to our growth and success has been our active collaboration with individual providers and the professional community. Referring providers recognize our quality medical capabilities in treating eating disorders and co-occurring disorders. We are unlike many treatment facilities; we welcome adults and adolescents, male and female. We are among a select few that offer a complete range of care for all stages of recovery, from critically ill patients requiring inpatient treatment to those ready for transitional living and outpatient services. Rosewood collaborates continuously with referring clinicians, making sure all relevant information is shared with all parties at all times. We make a priority of consulting with referring clinicians about prospective patients before, during and after treatment at Rosewood. Our thorough aftercare planning procedures ensure a seamless transition to your care when the patient is discharged. This highly collaborative approach extends to our broader education and training activities, too. Rosewood professionals actively raise awareness and share findings about evidence-based techniques and best practices. Through our partnership with The RiverMend Health Institute, many of our clinicians contribute articles in professional and consumer publications, conduct a variety of webinars, seminars and other continuing education events. We also invite noted researchers and clinicians to share their knowledge with our staff. At the same time, we stay in touch with elected officials at all levels of government to keep them informed about developments in the field of ED treatment. Rosewood is proud to participate in a wide range of educational events of interest to the professional community. These events, many hosted at Rosewood facilities, include professional education sessions and other gatherings that promote best practices for the treatment of patients with eating disorders and co-occurring disorders. Call 1 (844) 334-7879 to learn how Rosewood can help your client or to schedule an onsite visit.